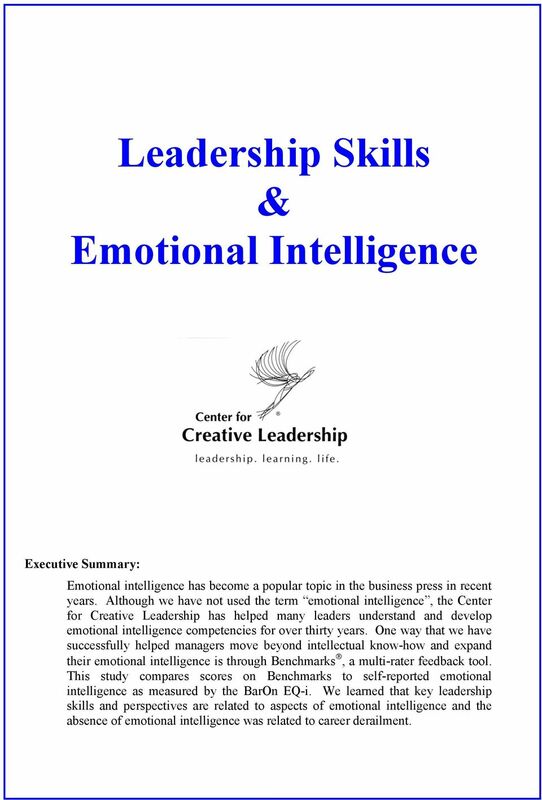 Download "Leadership Skills & Emotional Intelligence"
1 Leadership Skills & Emotional Intelligence Executive Summary: Emotional intelligence has become a popular topic in the business press in recent years. Although we have not used the term emotional intelligence, the Center for Creative Leadership has helped many leaders understand and develop emotional intelligence competencies for over thirty years. 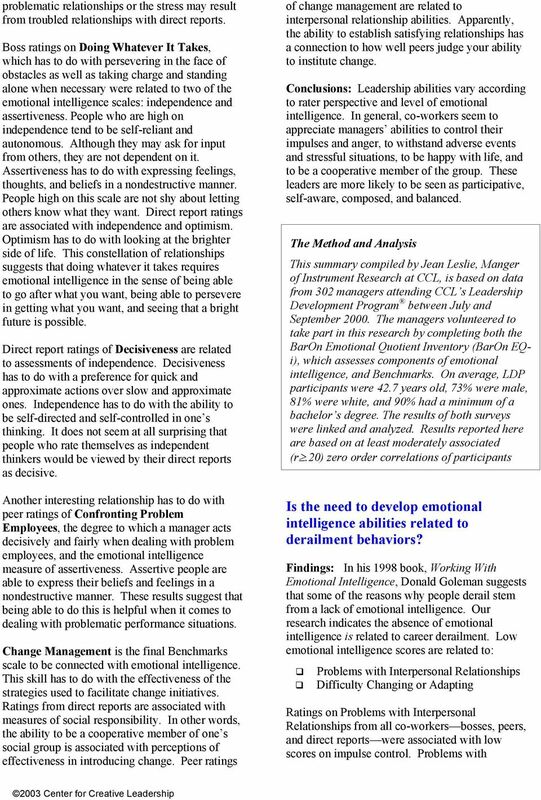 One way that we have successfully helped managers move beyond intellectual know-how and expand their emotional intelligence is through Benchmarks, a multi-rater feedback tool. 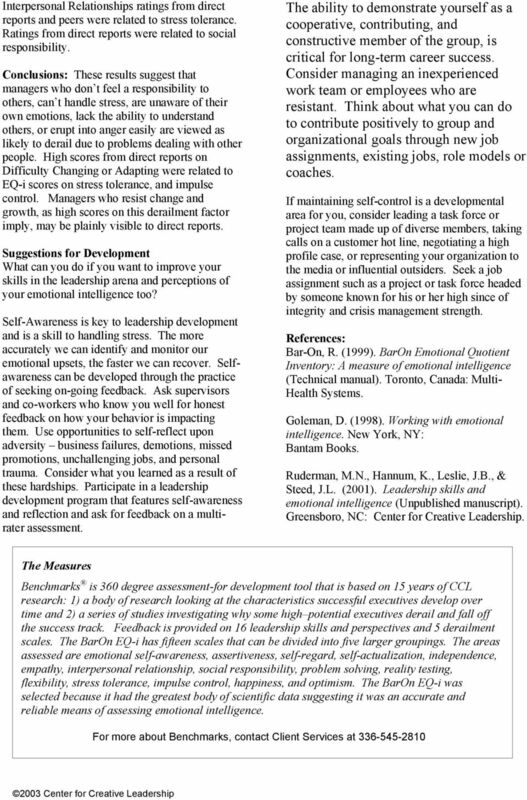 This study compares scores on Benchmarks to self-reported emotional intelligence as measured by the BarOn EQ-i. 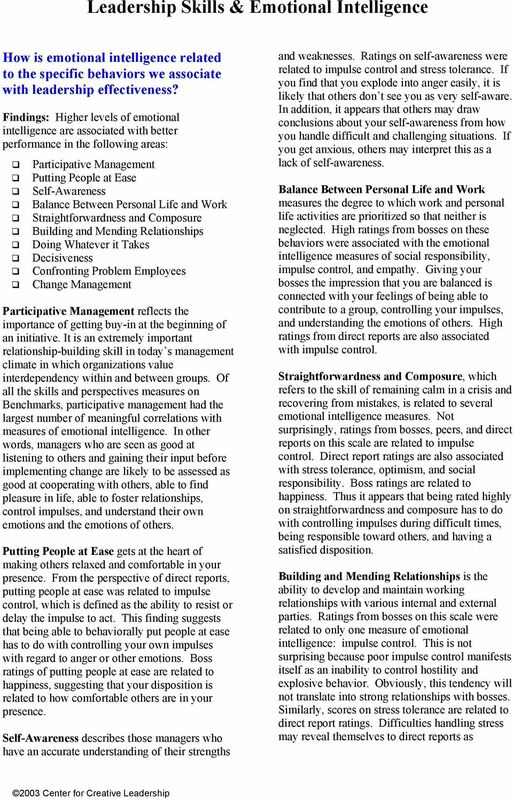 We learned that key leadership skills and perspectives are related to aspects of emotional intelligence and the absence of emotional intelligence was related to career derailment. 8 Steps for Turning 360 Feedback into Results. Leadership Intelligence White Paper // Paul Warner, Ph.D.